The historic centre of Valencia contains many diverse treasures, relics of its history and of past eras of splendour, which serve as the living heritage of the city today. Within a very small area, we can find La Lonja de la Seda, the remains of the Golden Age in Valencia or the bustling Mercado Central. Here, we offer you a tour through its very heart that no tourist should miss. The area from the Plaza del Ayuntamiento, on the right going towards calle San Vicente or on the left towards Avenida María Cristina, continuing on through the Plaza de la Reina and the Plaza de la Virgen until arriving at the Turia Gardens is little more than 10 minutes´ walk. 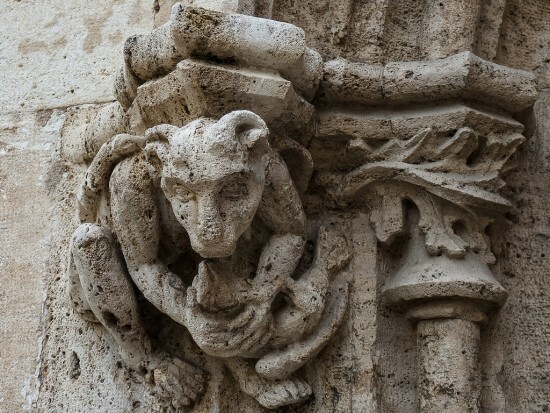 However, it is a very complete stroll through the history, art and architecture of many different centuries, enabling you to experience some of the most iconic buildings in Valencia. Españolé International House language school is located right in the centre of Valencia, a perfect place for immersing yourself in the essence of the city. As they are used to welcoming students from all over the world and of all ages, they know how to bring your stay to life through a wide range of activities, depending on the time of year and the local festivals. You have the continuous comings and goings of people, small specialist shops, pleasant pavement cafes to take a break, restaurants of all kinds when, suddenly, there appears the imposing building of the Lonja de la Seda (the `Silk Exchange´), a masterpiece of the civil Gothic style, and declared in 1996 as a World Heritage Site by UNESCO. Known also as the `Merchants´ Exchange´, it was constructed between 1482 and 1548 under the principal direction of Pere Comte, and it is evidence of the city´s wealth of that era, known as the Golden Age of Valencia. 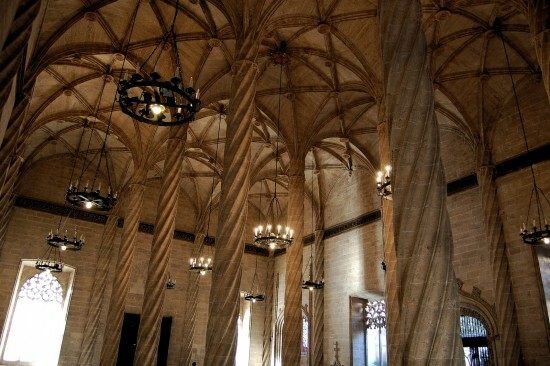 The visit, one that you must not miss, takes in the Consulado del Mar (a medieval, quasi -judicial body to administer maritime and commercial law), the breathtaking `Room of Pillars´ or `Contracts Room´, the Tower and the pleasant and tranquil Orange Garden, paying special attention to the detail of the sculptures and gargoyles that cover its façade. Opposite you will find the Iglesia de los Santos Juanes (Church of the Two Saints John), built in 1240 on the site of a former mosque. These are buildings that testify to an era of splendour and, especially in this area, to commercial activity at its peak, above all in the textile industry. Merchants came to Valencia from all over Europe, and it was the cultural and financial capital of the Aragonese Crown. 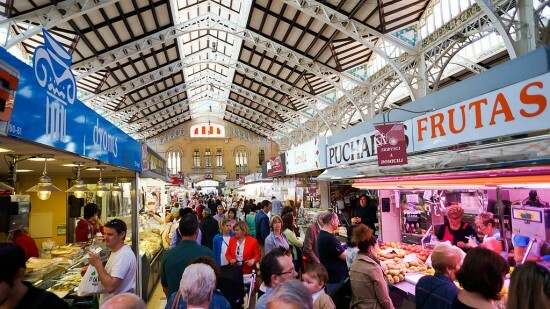 Another of the main stops for any tourist coming to Valencia is the Mercado Central (Central Market), a hive of daily commercial activity. This iconic example of modernism is a feast for the senses, containing the best of Mediterranean produce: vegetables, fruit, fish, delicatessen products ……. all amid the bustling to and fro of shopkeepers and customers. The construction from the early part of the 20th century is the work of both Francesc Guàrdia i Vial and Alexandre Soler. Its domes, made of iron, ceramics and glass, are crowned by two weather vanes, one with a fish and the other with a parrot, and they dominate the characteristic landscape of the historic centre. This is just a flavour of the very best the city has to offer.